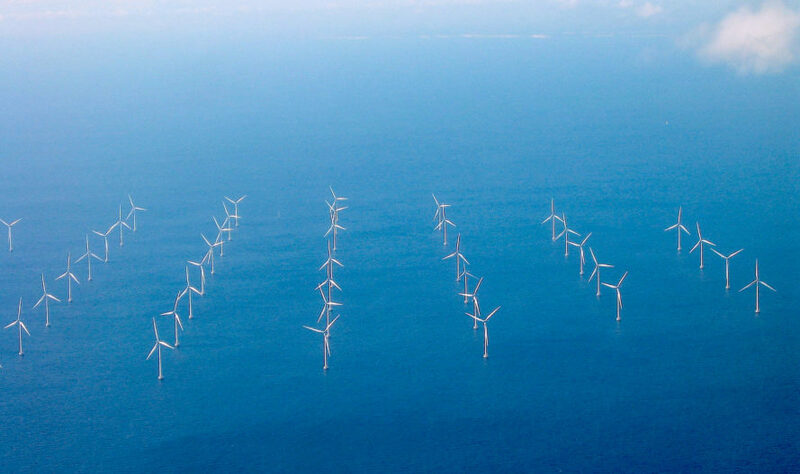 The world’s largest and America’s first major offshore wind farm is planned to open in 2021 off the coast of California. One hundred floating turbines will produce 765 megawatts of energy, leaving the 630 MW London Array in the dust. The system commissioned by Trident Winds is expected to power over 200,000 homes. The Morro Bay Offshore project will be located off the shore of Pt. Estero, California, 33 miles from the coast. Floating platforms supporting the turbines will be anchored to the seabed 2,600 to 3,300 feet under the water. The fastest coastal winds in the U.S. are located too far off shore for traditional undersea platforms, which use concrete or steel pilings. Floating platforms are an innovative solution only currently used in test projects. While cheaper to install, the amount of steel used and longer power cables needed to reach shore bring the price per megawatt from $4 million to $9 million with the floating platform project. If the wind farm is ever decommissioned, however, all of the materials could be brought back ashore instead of being left to litter the seabed. There is some concern that the Morro Bay Offshore project could encounter particularly turbulent seas or the cables could even interfere with multiple whale species who migrate there. Trident Winds is plowing forward, however, with a four-year plan to start producing wind power by 2025. As technology improves, the growing pains of cost and negative impact on the environment should decrease. This is wonderful news. 765*9 = $6.85 Billion With a capacity factor of 0.45 (?) could deliver 3 TWh a year. That's like 1.5% of California demand. Awesome - I want one of these on my rooftop ! California’s coast will be the site of the world’s largest offshore wind farm using floating platforms. One hundred turbines will produce 765 megawatts of wind power.